Posted October 9, 2012 & filed under Blog. Ninety-nine percent of Earth’s liquid freshwater supply sits in the ground beneath our feet, where it fills the spaces between grains in the soil and the small holes in porous rocks. In other words, 99% of the planet’s liquid freshwater supply is invisible to us, which is part of the reason most of us don’t notice that it’s disappearing. But over the past decade, thanks to a pair of satellites orbiting 300 miles above Earth’s surface, researchers have been keeping tabs on the seasonal ups-and-downs in groundwater stores all over the world, and tracking longer-term trends like the depletion of the Ogalalla aquifer under the southwestern U.S. This year, a few designers took the data from the GRACE satellites’ gravity measurements and created some stunning visualizations that allow us to see, for the first time, the resource we rely on most. via Daily Infographic: What Earth’s Swirling Groundwater Looks Like From Outerspace | Popular Science. Posted October 8, 2012 & filed under Blog. Although it’s easy to overlook this slowly unfolding disaster, we should instead recognize that we can solve this problem and comfortably coexist with living springs and rivers. The drying of Del Rio Springs is a clear and present reminder that, unless we better manage our groundwater resources and consume less water, unless we develop a sustainable water supply, unless we care for our water-dependent natural resources, we and our children will all suffer the loss. via Talk of the Town: We’ll soon pay dearly for safe-yield inaction – The Prescott Daily Courier – Prescott, Arizona. Posted October 7, 2012 & filed under Blog. Residents in Wilkes County Georgia have been spending the last week without running water. More than a dozen of people, including babies have to travel outside their city to get fresh water. Residential wells are no longer producing due to drought. Posted September 28, 2012 & filed under Blog. This video is a but long, but highly informative if you care about water. It explains groundwater sources, uses, and how groundwater information will be vital to a sustainable future. It’s not just cities. It’s farmers, homeowners and businesses. Our mission at Wellntel is to close the knowledge gap. Posted September 26, 2012 & filed under Blog. Since February 2011, the Paso Robles groundwater basin has been classified as facing overdraft. The [new] ordinance is estimated to save only 350 acre-feet of water over the next 20 years from a groundwater basin that safely yields nearly 98,000 acre-feet of water a year. Despite this minimal benefit, a majority of the board said the ordinance was an important first step given the severity of the problem. Supervisors received many comments from North County residents who are afraid of losing their homes because of consistent lowering of groundwater levels over the past 20 years. Single, rural homes often have the shallowest wells and are at the greatest risk of going dry. “When we hear about people losing their homes because of their wells going dry, we have to act,” said Supervisor Jim Patterson, who voted for the new ordinance. Since February 2011, the Paso Robles groundwater basin has been classified as facing overdraft. Some areas of the basin have seen dramatic reductions in groundwater levels while other areas have not, said James Caruso, senior county planner, in his report to supervisors. Posted September 25, 2012 & filed under Blog. 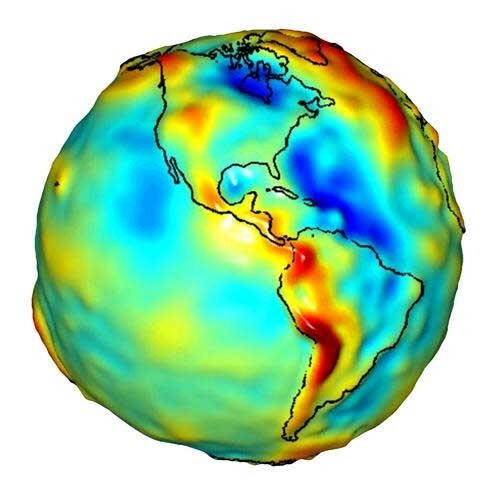 What can we learn from accurate measurements of Earth’s gravity? The thickness of ice sheets and glaciers, the temperature of large-scale ocean currents, motions of magma, better profiles of the atmosphere, and also the amount of water stored in the ground. Groundwater is the source of artesian springs throughout the world. It is also the main source of water for drinking and farming for much of the world. In the U.S., 37 percent of water from growing crops and 51 percent of drinking water comes from groundwater. The water table in India’s wheat, rice, and barley-growing northern regions has been dropping over a foot (30 cm) per year. The water table under Moscow fell 300 feet (91 m) over the last century. Groundwater is not only a precious resource, but an overused one. 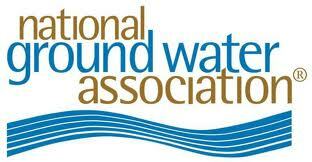 NGWA has been a long-time advocate of the National Ground Water Monitoring Network. In the United States, 78 percent of community water systems, nearly all of rural America’s private household water wells, and 42 percent of agricultural irrigation water are supplied by groundwater. While the nation’s people, food supply, economy, and ecosystems depend on groundwater, no systematic nationwide monitoring network is in place to measure what is currently available and how groundwater levels and quality may be changing over time. Congress has authorized a national groundwater monitoring network, and proponents are seeking federal funding to build it. via ‘Critical Needs’ report urges building of National Ground Water Monitoring Network – National Groundwater Association. Posted September 24, 2012 & filed under Blog. In what could be a sweeping reform, Indian leaders are proposing that landowners must not also be ground water owners. In a plan called the “basin” approach, water rights would be shifted from individuals to communities. The proposal is designed to make “unsafe yield” illegal. How will it be measured? Concerned over the declining water table across the country, the water resources ministry is working on an overarching law that will modify provisions allowing proprietary right to a land owner on groundwater and make it a community resource. Ministry officials said the draft bill, seeking to declare water as a community resource, presently held by the state under the doctrine of public trust would be ready in six months. It will provide an overarching national legal framework on general principles of water preservation. “While states have the right to frame laws on water, there is a need to evolve an overarching national legal framework and devolution of necessary powers to lower tiers of government… Existing acts may have to be modified as they appear to give proprietary right to a land owner on groundwater,” a ministry official told IANS. The official, who did not want to be named, said the present legal situation gave a land holder in almost all parts of the country the right to pump unlimited quantities of water from a bore well. He said ground water extraction was not properly regulated and efforts by some states to frame guidelines had been ineffective in the absence of punitive action. Annual extraction of groundwater in the country, estimated at around 243 cubic km, was the highest in the world, the official said and has led to rapid depletion of this resource. via Move to make groundwater community resource | TwoCircles.net. Posted September 20, 2012 & filed under Blog. Those of us living in the rural areas over the Paso Robles Groundwater Basin depend entirely on groundwater. We have no other source of supply. Stabilization of the basin is critical. Without water, our homes are worthless. What can you do? Learn about groundwater and become a local groundwater leader! via You have to have water to divide it | Commentary | New Times San Luis Obispo, CA. Critical Needs for the Twenty-first Century: The Role of Geosciences was released this week by the American Geosciences Institute. Providing sufficient supplies of water is one of eight critical needs identified in the report.